The Rolls-Royce Fabergé egg: start saving now? You've seen the Halo head protection on F1 cars; modelled on McLaren flip-flops? 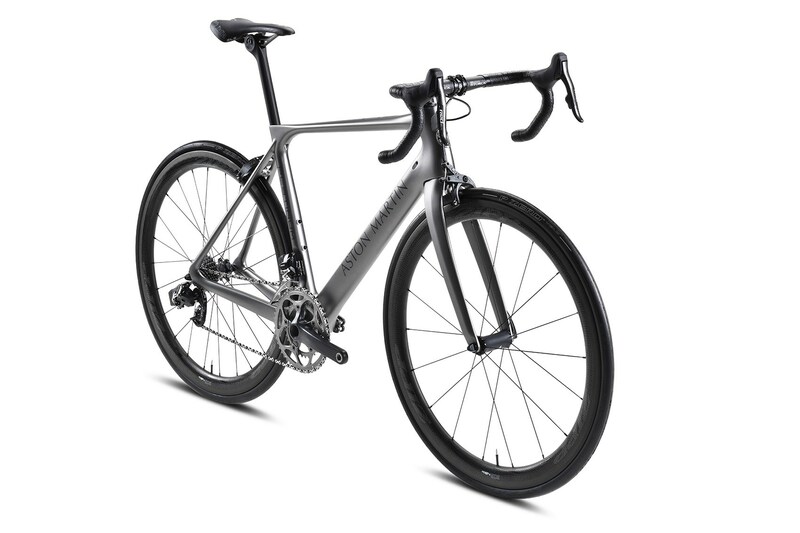 Storck Fascenario.3 Aston Martin Edition bicycle: yours for £16k! 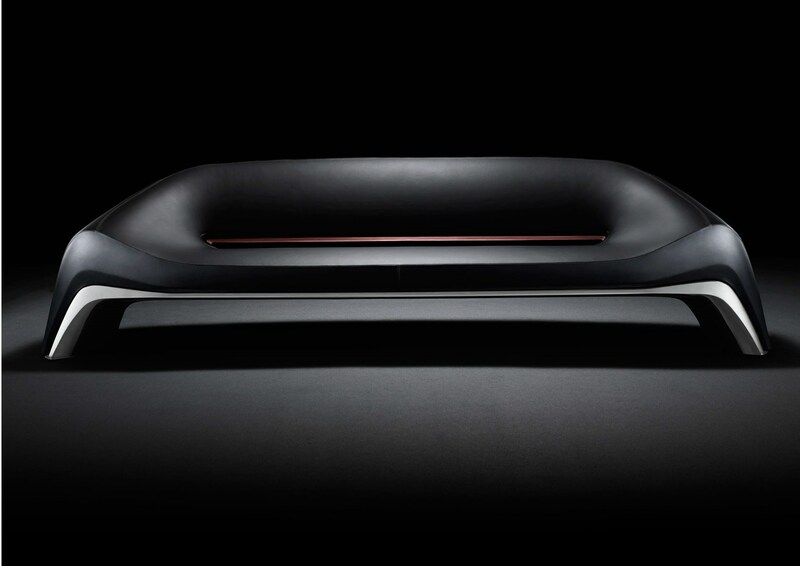 Introducing the Aston Martin... sofa? Mazda Soul of Motion perfume... yes, really! Car designers are an innovative bunch - you'll struggle to visit a studio at any car maker around the world and not find it stuffed with non-automotive objects. 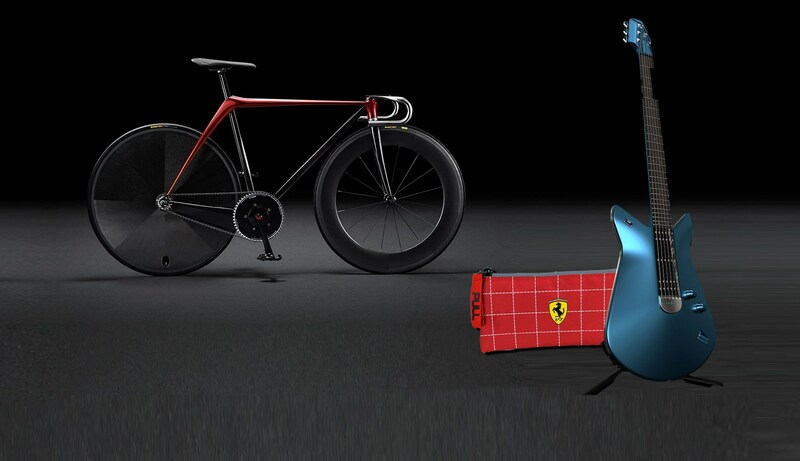 Both items of desire, inspiration and, often, objects they've designed themselves. Here we pore over some of the best gadgets and merchandise that bears little relation to their four-wheeled products. 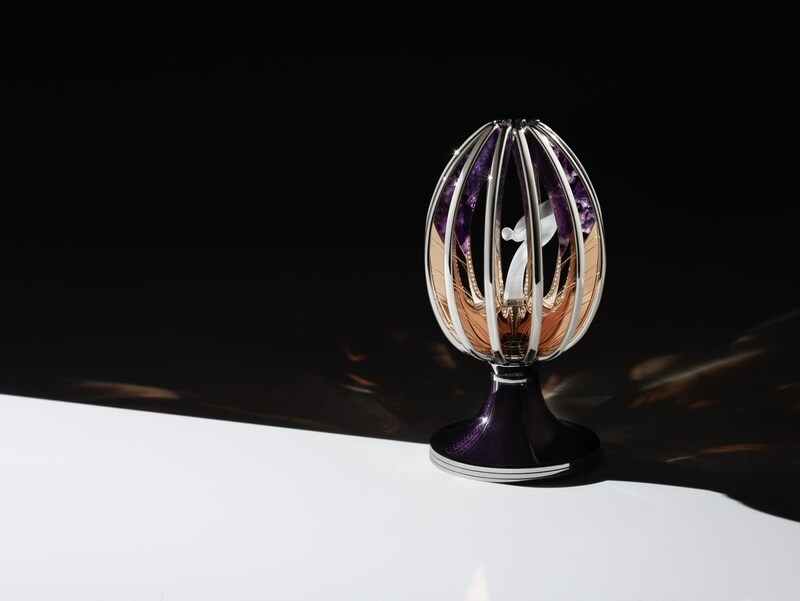 As luxury items go, the Rolls-Royce Fabergé egg sounds expensive - and is. 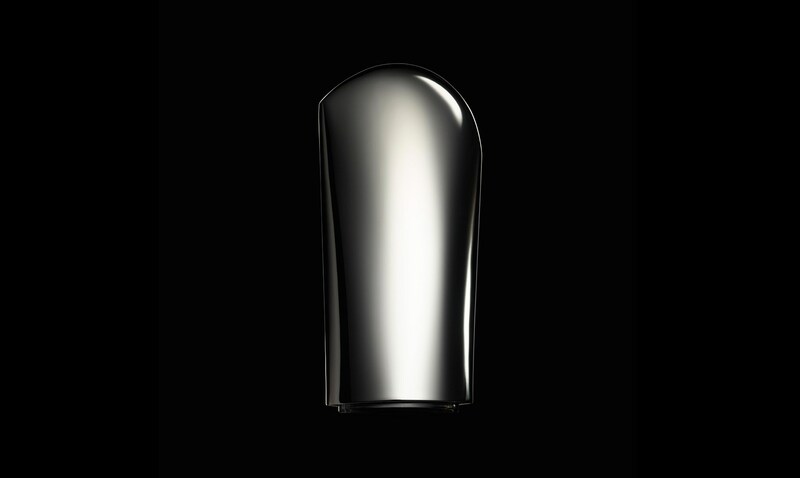 The two famous luxury brands have teamed up to build the Spirit of Ecstasy Fabergé Egg - a one-off item that nestles the mascot inside a contemporary eggshell. 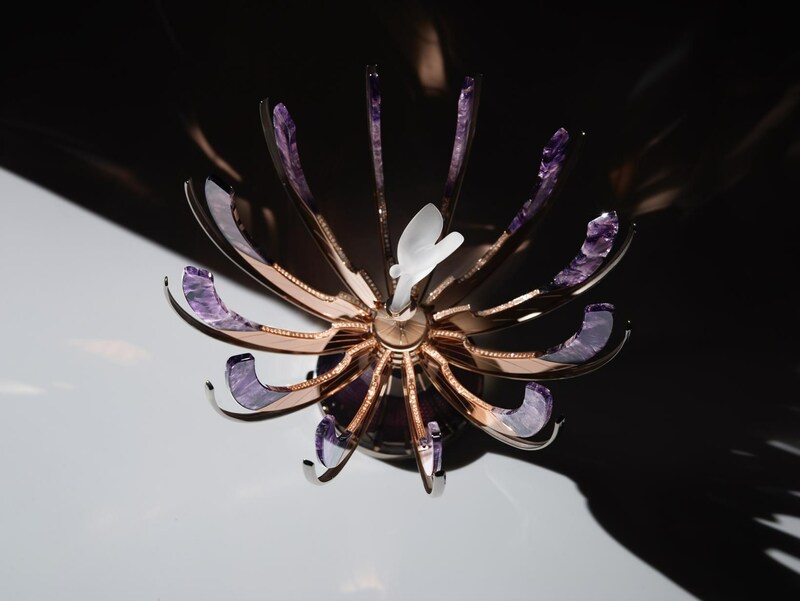 Seven craftsmen and women made the egg from rose gold vanes and 10 carats of white diamonds; the egg will be shown at Goodwood and then the Fabergé store in London this Christmas. 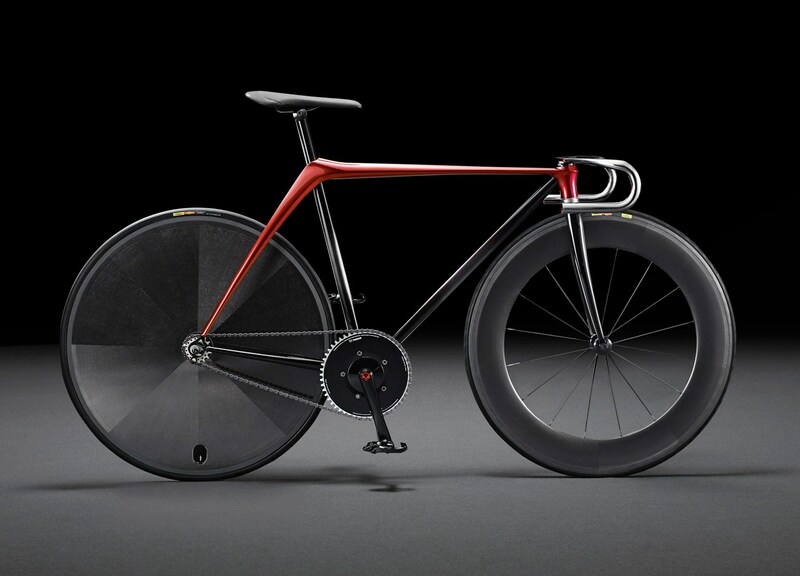 What is it with car makers and teaming up with bicycle brands?! 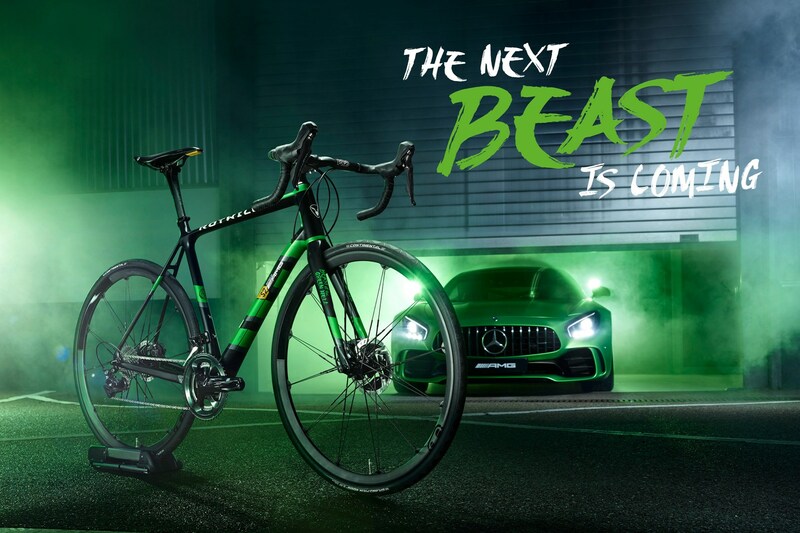 Mercedes has partnered up with Rotwild to create this: the Rotwild R.S2 'Beast of the Green Hell' bike. 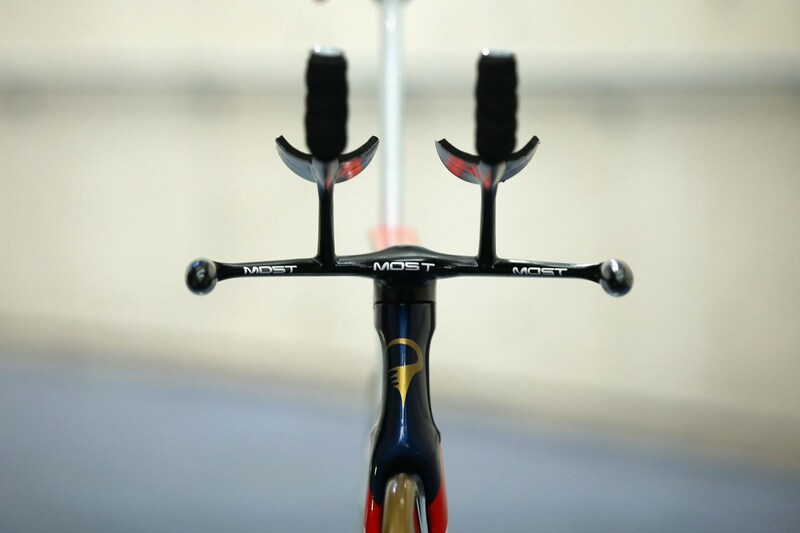 It's a handbuilt racing bicycle, which ustilises a carbonfibre frame, 29-inch Crankbrothers Cobalt 11 wheels and a load of Shimano running gear. 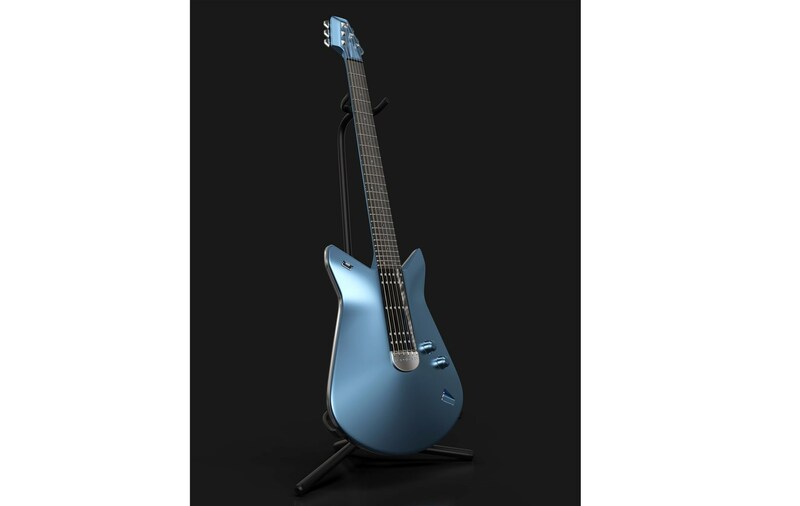 Yours for 7109 euros, or roughly £6332. Ouch. When Renault entered Formula One in 1977, its cars wore a distinctive yellow livery and often returned to the pits steaming and whistling thanks to over-worked turbos. Team boss Ken Tyrrell dubbed it 'the yellow teapot' and the nickname stuck for La Regie's F1 cars. 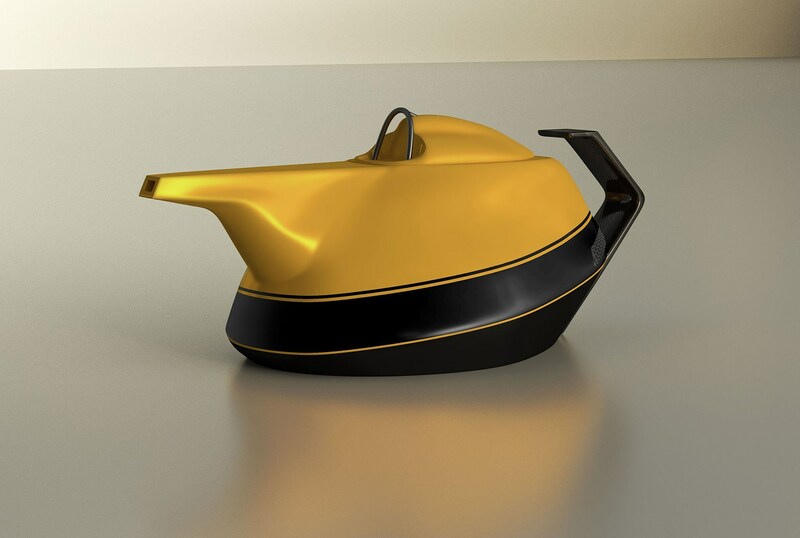 So what better way of celebrating four decades in top level motorsport than launching an actual yellow teapot? Designed by the company's design team and sporting the same yellow paint as the RS17 racer, it's sure to deliver a speedy cuppa. Can you put any more angles on a Bluetooth speaker? 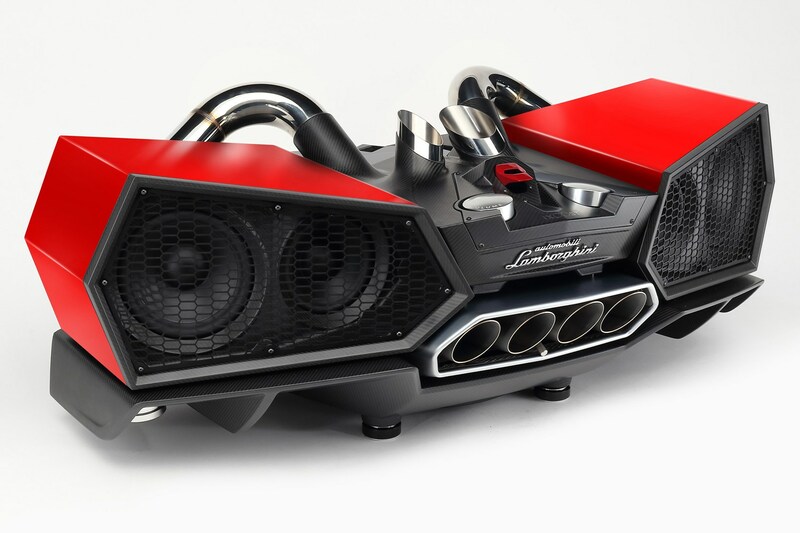 This is the Lamborghini Esavox from iXoost - a massive boombox with enough speakers to blow out your windows and plenty of Lambo design touches. The on/off button is operated by a starter button switch a la the Huracan and the quad exhaust pipes look like they've been lopped clean off an Aventador SV. 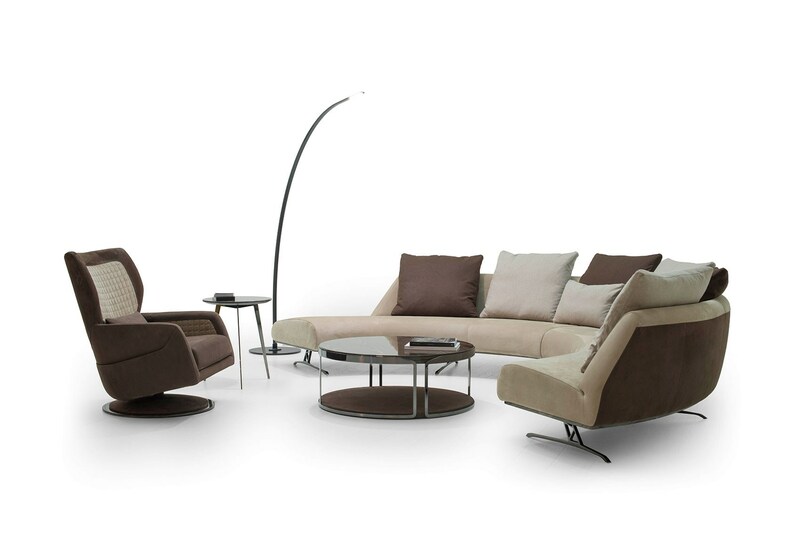 Available in four different colours and steal at £21,900 a pop. 'Neither a car seat nor a pure piece of furniture or design' claims the press bumf, but these are definitely office chairs that have been designed to within an inch of their life. 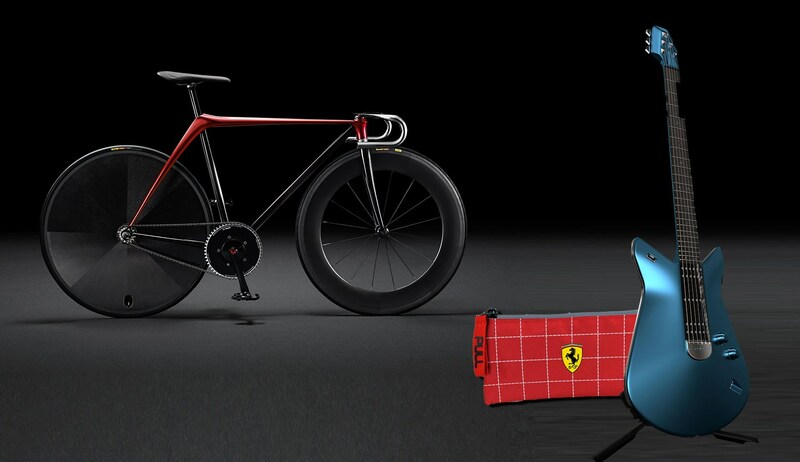 These come to you from Ferrari Design and have been sculpted from carbon fibre or 'alutex', which is a blend of aluminium and glass fibre. 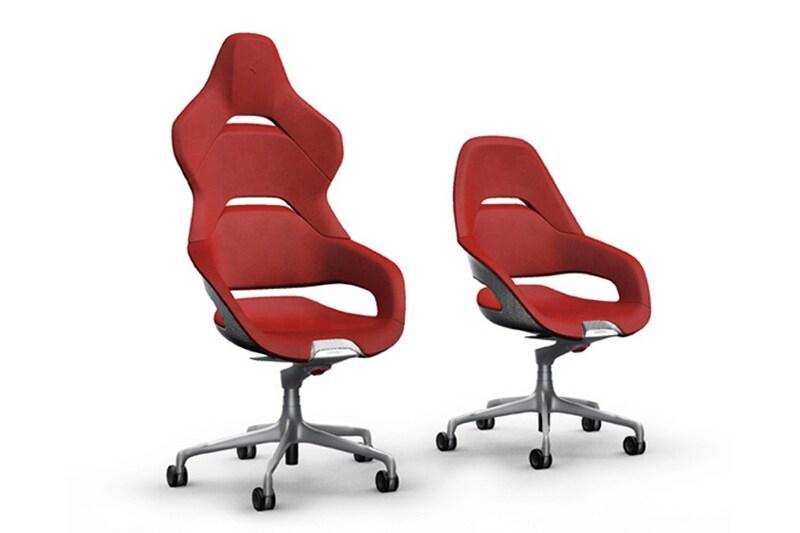 Two shapes are available; the Executive seat has the shorter backrest, while the taller President version is for the high flyers of office life. For years Bentley has made pampering cars that are the ultimate soothers. But for 2017 it's taken things to the next level - by making an actual bed you can sleep in. 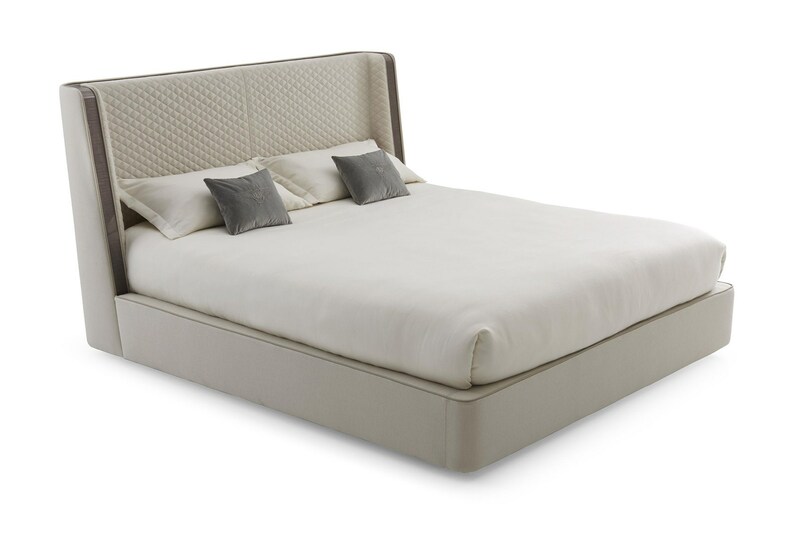 It's part of the Bentley Home collection, which includes this Eastgate double bed (above) designed by the architect Carlo Colombo. Crewe hails its 'posed volumes and elegant design,' although we're disappointed the maple-rimmed headboard doesn't have organ stops to control in-bed ventilation. 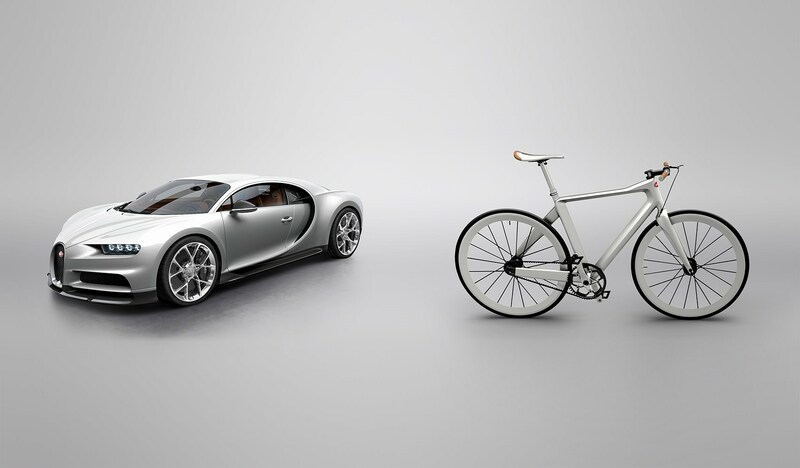 Meet the Bugatti of bikes: to coincide with the launch of the Chiron hypercar, Molsheim has teamed up with upmarket German cycle specialist PG to make this: the PG Bugatti Bike. 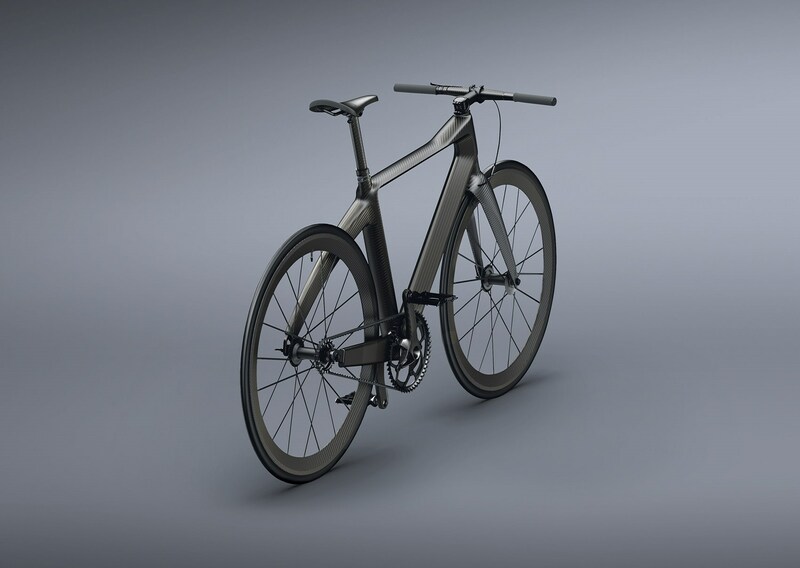 Weighing less than 5kg, the makers claim it's the world's lightest special urban bike (whatever that means), thanks to the use of carbonfibre, titanium and aluminium shared with the four-wheeled car. Just 667 will be made. Click here for our Bugatti Chiron review. 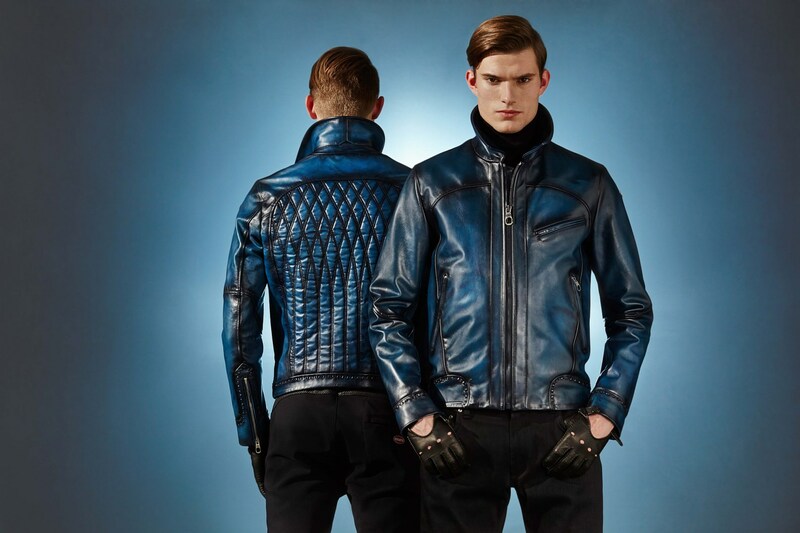 You too could look like some kind of Riviera-based Fonz with this blue-tinged, hand-polished creation from the ‘Ettore Bugatti capsule collection,’ with quilted stitching on the back designed to match the seats in the new Chiron hypercar. Matching driving gloves optional. 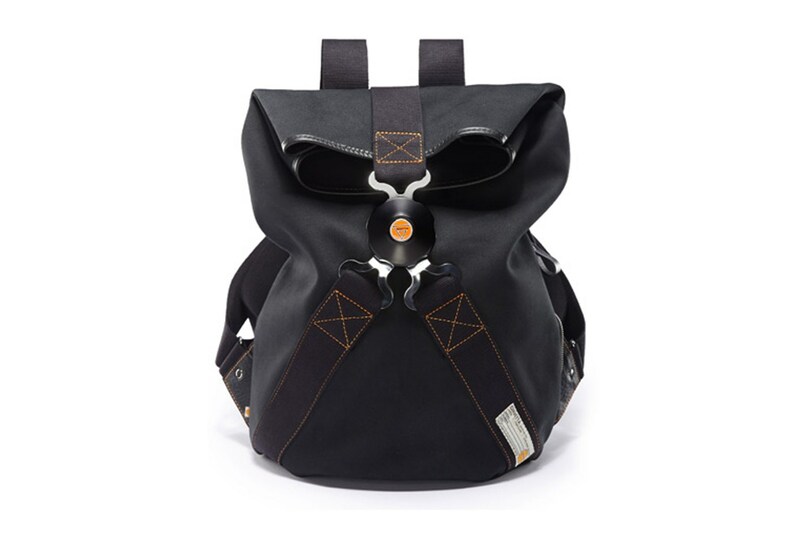 Apart from building racing cars to fill grids the world over, Yorkshire-based sports car specialist Ginetta has branched out into clothing, with its Ginetta Lifestyle range of motorsport-inspired coats, cords, boots, brogues and even a race-harnessed rucksack. 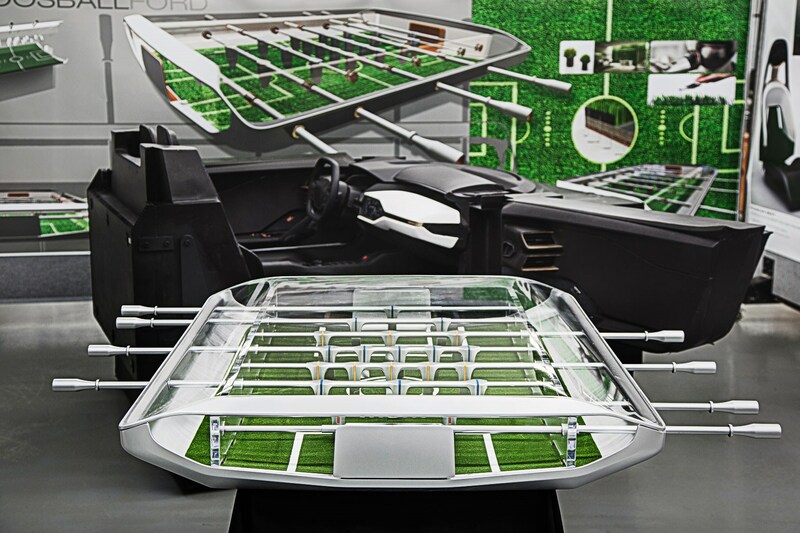 Pininfarina loves dabbling in non-car stuff - it even had a hand in designing the new Eurostar coaches soon to be whizzing underneath the English Channel. 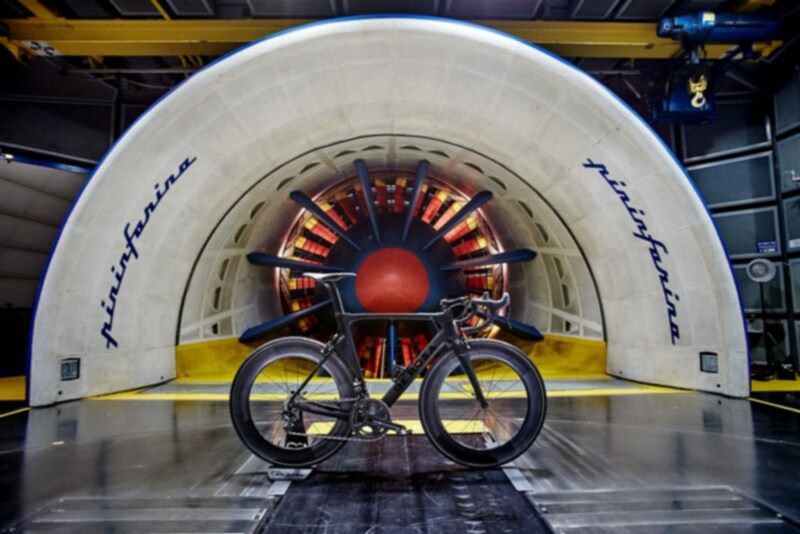 In August 2015 it showed off its new SK Pininfarina bicycle, developed with Milan-based artisan bike maker De Rosa: weighing just 6.7kg, it's a low-drag machine honed in the wind tunnel, made from carbonfibre and cog-swapped by a Campagnolo eletronic gearset. How to compete in the Tour in Italian style? 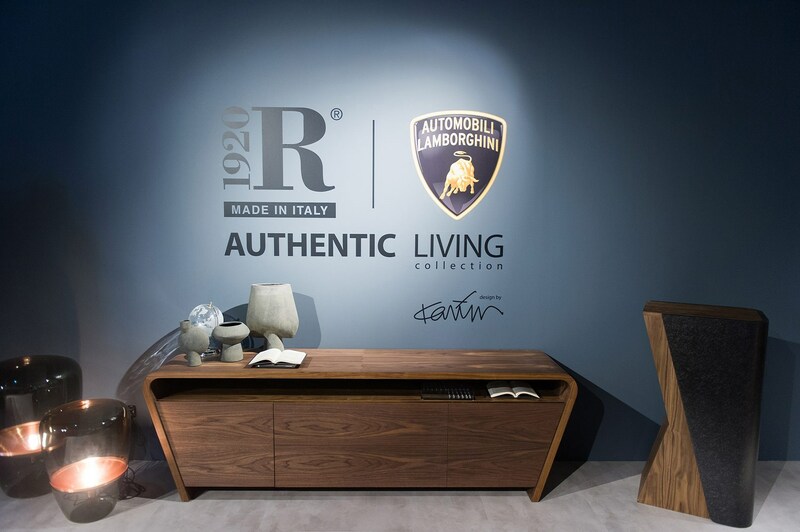 Fabled Italian design house Pininfarina doesn't just design cars and bikes, you know. On 21 September 2015 it unveiled a luxury mega-yacht at the 2015 Monaco Yacht Show: developed with shipbuilder Fincantieri, the Ottantacinque is 85 metres long, has five decks, twin swimming pools and accommodation for 14 passengers and 19 staff. One for oligarchs only, perchance? Maranello knows a thing or two about rinsing its brand for all its worth - you may have noticed the explosion of Ferrari Stores at the world's more urbane airports. 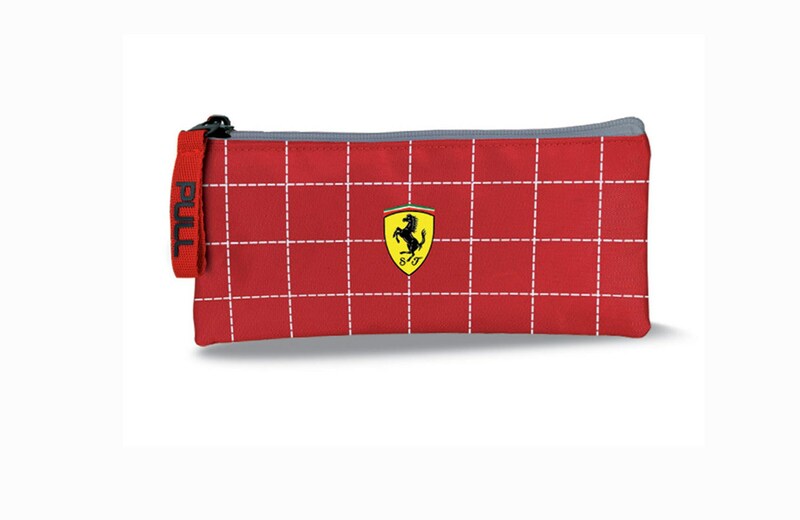 But even we were surprised when we spotted the latest Ferrari Back to School Collection by Cartorama. Yes, your kids can now go to class armed with a go-faster pencil case. Inspired by the stance of the CX-3 crossover. Here’s hoping it’s more comfortable than it looks. The sofa, too. 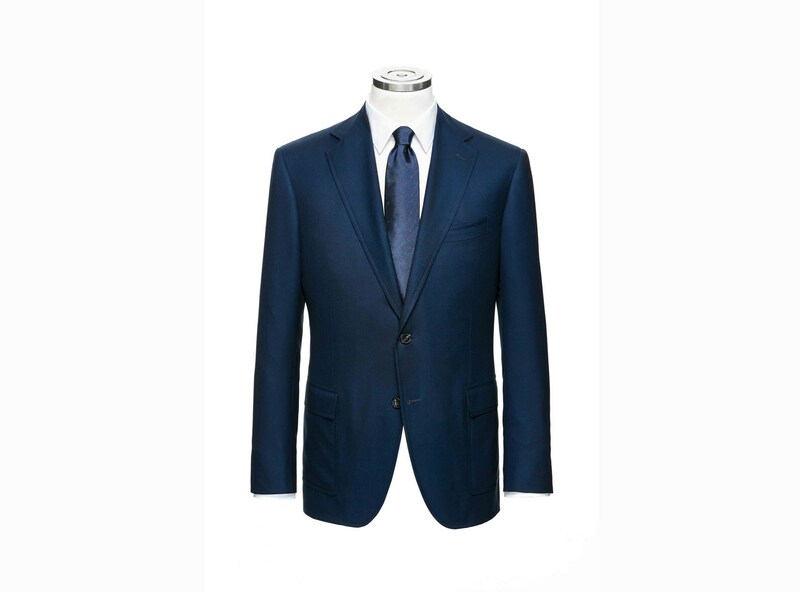 Lamborghini collaborated with the Italian d'Avenza Fashion tailoring brand to create this hand-cut jacket first shown at a fashion show in Florence in June 2015, complete with silk-yarn finished buttons. We’re not sure if the flaps lift up at speed to aid cooling. 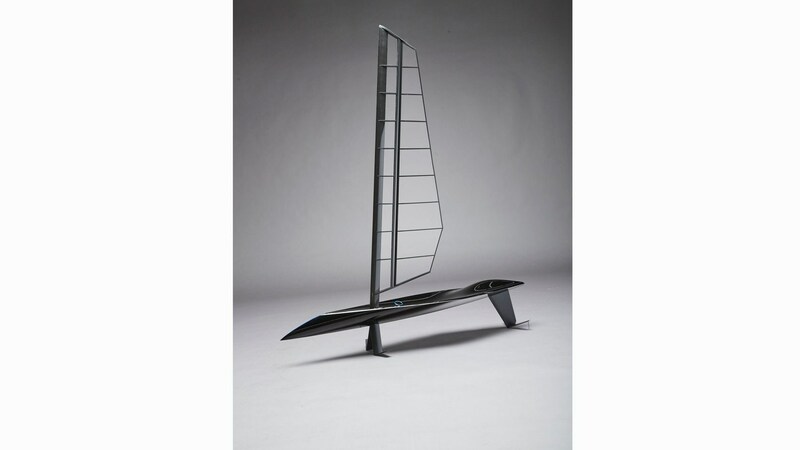 Made from aluminium and wood, and painted Liquid Blue like the GT show car. Neither paint nor guitar are for sale. Intended as an exercise in minimalism, the frame is hand-hammered from a single sheet of steel! Seat and stitching are inspired by new MX-5 interior.